Mining Company Kalagadi Manganese, in partnership with the Department of Mineral Resources, yesterday launched an enterprise development programme in Kuruman, Northern Cape. The initiative will see eight women and two men running their own companies which will be contracted to one of Kalagadi’s mining operations. This group of business men and women have been equipped with financial, business and managerial skills to ensure that the programme and their businesses are sustainable. The group will be registered as a co-operative, and will be contracted to the mine to clean and collect spill-overs of manganese from the belt which will be repatriated back for processing. Provided by the South African Precious Diamond Regulators, the training which started in June 2014 also includes skills on how to identify different grades of manganese to ensure that the identified candidates are equipment with the necessary skills and understanding of the environment they are working in. 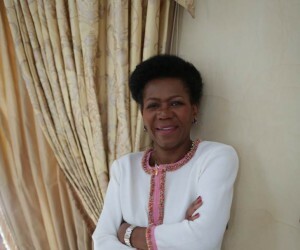 Chairperson of Kalagadi Manganese, Ms Daphne Mashile-Nkosi, said she is delighted with the launch of the project as it will go a long way towards empowering the local community and it sustained development. “As we grow our operations, we also need to empower local communities by fostering a culture of entrepreneurship. Studies indicate that small and medium sized enterprises are the engines of economic growth and we believe that this intervention by Kalagadi Manganese and the Department of Mineral Resources will further revitalize the local economy and empower these men and women by giving them a solid foundation to become future industrialists,” says Mashile-Nkosi. Adds Sylvia Lucas, Premier of the Northern Cape: “Mining is one of the key industries in the Northern Cape. It is gratifying to see the Department of Mineral Resources and Kalagadi Manganese turning the ideals of the Mining Charter into reality by empowering aspirant entrepreneurs. This will bode well not only for these entrepreneurs, but for the local economy and the province as well,” says Lucas. Deputy Minister of Mineral Resources, Godfrey Oliphant highlighted how this will assist women who want to play a role in the mining sector. “This initiative is one of the interventions that seeks to correct this anomaly and ensure that women are a critical mass across the value chain of the industry,” says Oliphant. As part of the launch, the Stanley and Daphne Nkosi Foundation also made a positive difference in the life of a centenarian when it presented her with a house during the launch of the Women’ Cooperative for Plant Cleaning project. This is the second time this month that the Stanley and Daphne Nkosi Foundation has restored the dignity of impoverished families in the Kuruman area; by giving them an opportunity to become home owners for the first time. The centenarian, who is 104 years old, was living in a dilapidated and derelict mud house before she became the proud owner of a brand new two-bedroomed dwelling comprising a bathroom, kitchen and a lounge. Kekgatshamang Minah Seatlhodi was born in 1910 at Longhurst in Ditlhapereng. She survived two World Wars, witnessed the ascendency of the National Party to power and saw the ushering in of a new democratic dispensation in 1994. She has 4 children, 30 grandchildren and 60 great grand-children. 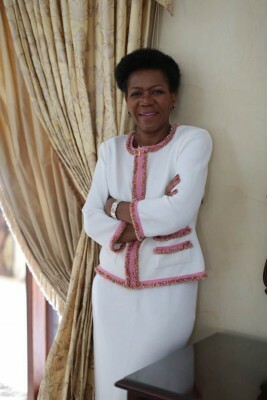 Seatlhodi commented on how grateful she is to the Stanley and Daphne Nkosi Foundation for the house as her current dwelling was on the verge of collapsing. “Today is the happiest day of my life. I wish to thank the Foundation for this great and wonderful gift which I will cherish for as long as I live. This gift has made positive and welcome difference in my life, the foundation gave me a dream that I thought would never be fulfilled. “The Stanley and Daphne Nkosi Foundation is acutely aware of the conditions that many of our people are living under as a result of centuries of colonialism and decades of apartheid. Through these small gestures, we believe that we can change the world one step at a time and become the change that we want to see in the world,” says Nkosi. Earlier this month, the Stanley and Daphne Nkosi Foundation together with its partners, gave homes to eight impoverished families from the Magobing, Kanana, Magojaneng and Deurham villages. She says that her company is working with the Department of Mineral Resources to establish various other projects for the benefit of the local community.